I like telling stories, whether or not they’re my own. And if I can do it over a good meal, so much the better. In Spain there seems to be a general agreement around an idea concerning wine: the wine sector has evolved in the past four decades in step with the modernization of the country. Greater care and respect for the legwork of wineries, the incorporation of technology in vineyards, greater openness in commercial strategies, and a clear investment in quality over quantity have emerged as a result. Until this point, so far so good. Suddenly, and as often happens, a detailed analysis of the facts rudely awakens us from our sweet dream: the consumption of wine in Spain has been stuck around 17 liters per person per year, while in Italy consumption amounts to 43 liters and in France it has risen past 40 liters. What´s going on? There are several answers to this question, but we will focus on one. 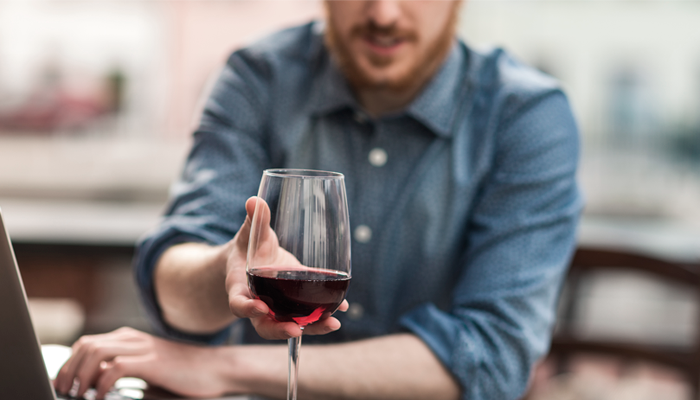 Wine does not connect with young people, especially with millennials, a cohort that is gaining prominence in other countries thanks to a clear set of standards: millennials want quality wines, they are willing to pay a little more for the product, but they look for wines with a very specific brand image, and they value attributes like risk, innovation, and design when selecting the brand. The wineries and the brands of Spanish origin are conscious of this, but not one has found an adequate format and message for their promotional campaigns. There have been shy attempts, like DO Ribera Duero´s sponsorship of the festival Sonorama, the project Movimiento DO created by the Spanish Confederation of the Denominations of Origin, or DO Rueda´s promotional spot with the Morrigan’s group. However, has anyone ventured to design a modern strategy, oriented primarily on social media with a very clear spotlight on the millennial audience? The focus, clearly, must be aimed at producing quality content. Millennials will not value anything else. They are a demanding public, extremely trained and not afraid to publicly extol the good or criticise the mediocre. They continue to prefer content in video format, and a schedule of diffusing content over social media is essential if we want to communicate the history of our wine to them: who produces it, what attracts us to this almost telluric relationship with wine, and why we enjoy sharing it so much. In a word, storytelling. In addition to the wine itself, we like the design, the style, and the graphic image of the bottle. That is why we dress our product with labels that define us (do not miss the magnificent work of studios like Moruba or the labels of the collective of creative oenology Casa Rojo), which brings us to our online image–the real point of encounter with millennials. Observing the competition can always be a source of inspiration. A video advertisement transports us for a few minutes to one of the meccas of champagne, Reims, to learn how the maison Veuve Clicquot has perfectly understood that millennials are the consumers of the present, and more importantly, of the future. This is their first 100% digital campaign, which launched 3 months ago over Tumblr and Youtube.